A young and contemporary architecture and interior design firm seeking for a new look. 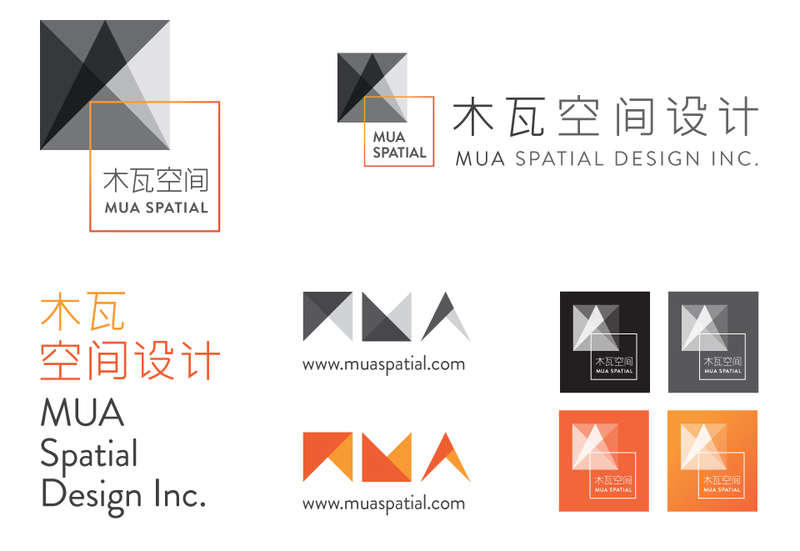 MUA Spatial Design Inc. is a multi-disciplinary interior and architecture design studio located in the central business area of the city of Beijing. MUA’s design team is equipped with a global mindset that is flexible and adaptable to innovation. The three founders share and exercise the values of doing what they love passionately with the people they love. Building on top of that, they aim at adding value and meaning through their clients to the society by creating truthful spatial design. Being outside-of-the-box thinkers, they strive to create art-like living spaces to suit and beautify the surrounding environment and nature. 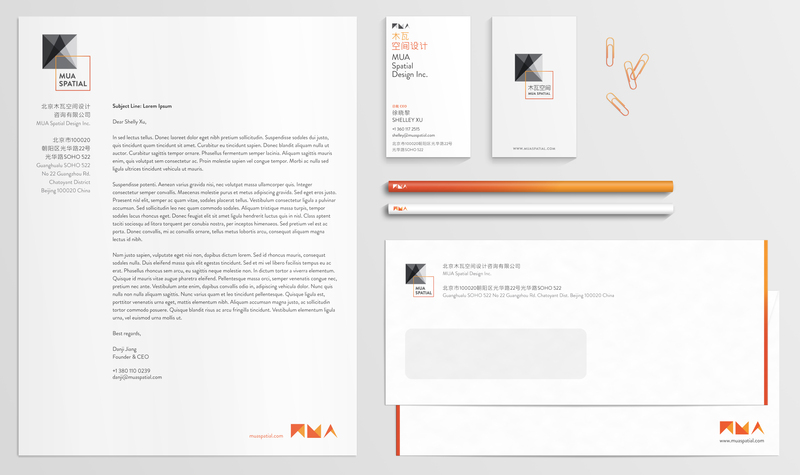 The name of the company, “MUA”, was derived from their design values and philosophy. In its Chinese definition, with the analogy to basic architectural elements of wood and clay tiles, denotes its reliability and trustworthiness. Whereas with its English pronunciation, it strikes a similarity with a sound of passion expressing the lively human perspective of the brand. This idea is showcased in the logo which was created with a goal of the double meaning with a creative twist. The triangular planar shapes overlap to become the dimensional and spatial graphic that intersects with the vibrant square of orange. This interaction of overlay symbolizes the combination of the three dimensional yet architectural representation with the plane of white space.